Product prices and availability are accurate as of 2019-04-14 12:22:35 EDT and are subject to change. Any price and availability information displayed on http://www.amazon.com/ at the time of purchase will apply to the purchase of this product. 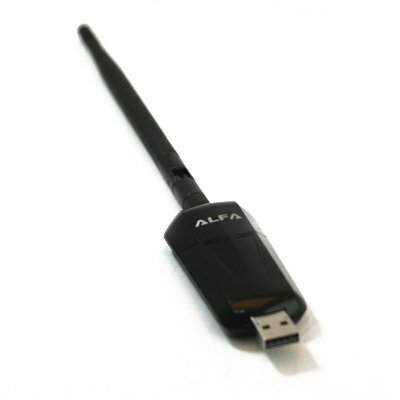 This is an 802.11n wireless USB adapter with a maximum output power of 1 watt (that's 1000 mW). 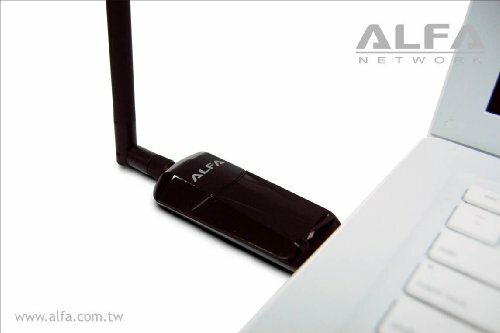 This is a single band (2.4 GHz) 1T1R 802.11n adapter with maximum transfer speeds of 150 megabits per second (mbps). 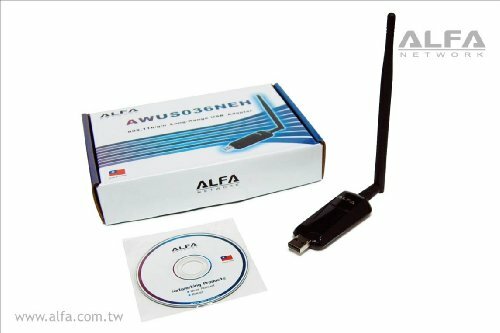 This is for one brand new (in retail box) AWUS036NEH wireless adapter with 5 dBi gain antenna. Also included in the retail box is the installation software on CD. The AWUS036NEH hooks up to any computer that has a USB port and one of the compatible operating systems listed above. It allows you to get a long ranges and 802.11n connectivity. It is perfect for netbooks, laptops, and desktops. 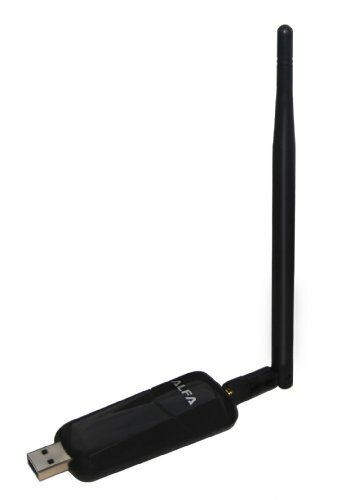 It features an external RP-SMA connector which is a must have for RVers or boaters that need a high powered USB Wi-Fi receiver to connect to a high gain outdoor antenna they already own or plan to buy. * Works with Windows 2000, XP 32/64, Vista 32/64, Windows 7 32/64. For Windows, double-Click on the application file in this folder (the file name atarts with "IS_AP_STA_RT2870......) then follow the installation instructions. For Mac and Linux open their folder and then run the application. Or you can got to the manufactures website, then click on "Support" and on the left side click on "Divers" and download.